A curled up tendril of a Butternut squash (Cucurbita moschata) plant. In botany, a tendril is a specialized stem, leaf or petiole with a threadlike shape that is used by climbing plants for support and attachment, generally by twining around whatever it touches. They do not have a lamina or blade, but they can photosynthesize. They can be formed from modified shoots, modified leaves, or auxiliary branches. The earliest and most comprehensive study of tendrils was Charles Darwin's monograph On the Movements and Habits of Climbing Plants, which was originally published in 1865. This work also coined the term circumnutation to describe the motion of growing stems and tendrils seeking supports. In the garden pea, it is only the terminal leaflets that are modified to become tendrils. In other plants such as the yellow vetch (Lathyrus aphaca) the whole leaf is modified to become tendrils while the stipules become enlarged and carry out photosynthesis. Still others use the rachis of a compound leaf as a tendril, such as members of the genus Clematis. The specialised pitcher traps of Nepenthes plants form on the end of tendrils. The tendrils of aerial pitchers are usually coiled in the middle. If the tendril comes into contact with an object for long enough it will usually curl around it, forming a strong anchor point for the pitcher. In this way, the tendrils help to support the growing stem of the plant. 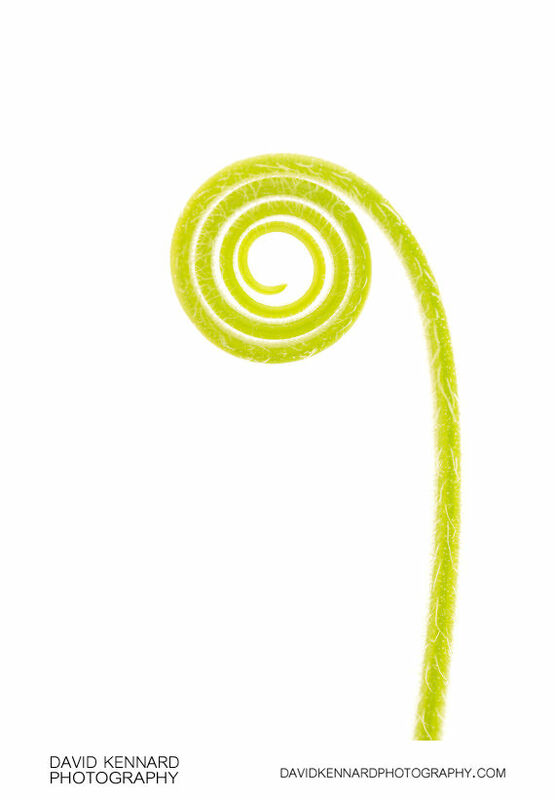 Tendril can also be used to describe a wisp of hair or indeed anything that resembles the tendrils of plants.